I’ve been playing the closed beta for Tom Clancy’s The Division, an upcoming fantasy RPG about patrolling Manhattan and murdering Black Friday “rioters.” The game’s version of New York City isn’t the most convincing I’ve ever seen, but the graffiti is solid. Rather than doing that, they went with the sorts of chaotic scrawls that we’d probably actually see should something like The Division’s city-clearing bioweapon attack come to pass. Hell, parts of Manhattan already look like this. I do love to run down to “Chicken Place” every so often, though. Maybe it’s a beta thing, and they’ll have a few more distinct #brands when the full game launches. 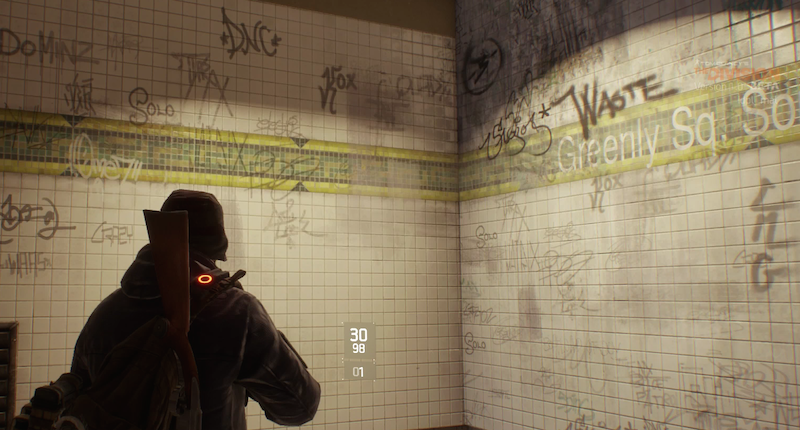 Even if they don’t, it’s good to see another game playing it cool with graffiti.